When Alice Mickland, a fourth-grade teacher at Grover Cleveland Elementary School, looked at her class roster, she was immediately struck by the diversity represented on the list. While the genders were balanced, several students were immigrants from other countries; three students had identified special needs in math, reading, and language; one student spoke very little English; two others were identified as gifted and talented; a group of others were identified as having basic skills deficits; and another student was visually impaired and required special equipment to see and read. Alice was overwhelmed by the combination of students and was uncertain how she would be able to help every student master the content and skills in the district and state standards. The good news for Alice and other teachers is that embracing the tenets of Universal Design for Learning (UDL) can help them achieve daunting tasks like the example above. UDL provides an approach to teaching and learning that enables teachers to reach all students in their classrooms despite the great diversities that exist. The first step in a UDL approach is to take a close look at the roster and find out as much as possible about the students: their needs, how they learn best, and what their strengths are. In the second step, teachers learn and implement UDL principles and practices into their teaching to address the learning needs of all students in their classrooms. The Center for Applied Special Technology (CAST) began developing the UDL model in 1984 in response to the needs of physically disabled students. CAST began by designing and building appropriate schools and classrooms. Over the years, as more and more special needs students were included in “regular” classrooms, the model evolved to address both the physical needs and the learning needs of all students. UDL is not a panacea for diverse learning; rather, it is a framework for us to keep all students in mind as we plan learning experiences. UDL is as much a way of thinking as it is a way of acting. It requires a fundamental shift away from the idea that teaching and learning should be uniform. A “one size fits all” approach is the antithesis of UDL thinking. In the UDL model, the teacher and the curriculum must be flexible enough to accommodate diverse student needs, a polar opposite to traditional thinking that requires students to bend to the needs of the curriculum. Students in today’s classrooms are culturally and ethnically diverse, and learners often have a wide range of ability. The UDL model seeks to transform classroom learning by embracing and capitalizing on these differences rather than marginalizing them. UDL suggests three areas that teachers look at to modify their instruction: representation, expression, and engagement. Ideas are presented in multiple ways. This differentiation provides students with flexible options for learning the information being introduced. For example, in addition to reading the information as text, students might see the same ideas presented as a video, podcast, or slide show. Students have many options for expressing their knowledge. Using authoring programs allows students to combine media forms to construct new meaning from their ideas. Teachers engage students in many different ways to capitalize on their various abilities and strengths. The availability of student authoring tools enables teachers to design work in more flexible ways than in the past. Flexibility and diversity are essential to reaching students with different needs, and digital tools are ideally suited for the task. 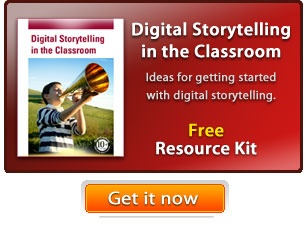 Computers, the Internet, digital cameras, and authoring software are a few tools teachers can use to tailor experiences to student needs more than traditional media. Digital media are inherently supportive of the UDL approach and can easily be implemented into instruction in the areas of representation, expression, and engagement. Students can share information through multiple forms of media and present information in ways that appeal to more than one mode of learning. Using digital media, some students might listen, while others read. Still others might benefit from rich color and the emphasis that digital media can place on key ideas. Digital media allows content to be presented in different ways—text, sound, video, and animation. Content can also be easily presented at different levels of understanding. Use of digital media promotes connections and interactions. For example, after reading a story, students can email the author or go to the author’s site to learn more. Learners can select from many formats to represent what they know and communicate it to others. The array of digital media is plentiful and ever-changing through software and Internet sources, so the supply of resources continues to grow and remains current rather than being static and outdated. Students use many of the same tools for classroom work that they use outside of the classroom every day, making learning and classroom time more relevant to their lives. As teachers think about how to help all students learn, UDL suggests a bottom-up design model that matches each activity and experience to the needs of the students. Using a bottom-up approach means that we are less likely to have a student’s needs go unaddressed, since each student is considered as a foundational part of a lesson rather than as an afterthought. For example, a UDL-designed lesson for a classroom with second-language learners would include materials presented using audio and visual media, rather than text alone. Similarly, for those gifted and talented students, additional in-depth material from books, Web sites, and other sources would also be available. The stresses and realities of teaching suggest that we will not, or can not, do a bottom-up design for every lesson every year. But if we start by designing one unit or project with a wide variety of needs in mind, we begin building a resource we can build upon and adjust for new learners in future years. Embracing the UDL approach means that teachers like Alice will not be designing lessons that force students to adapt to her ideas but will instead be designing lessons that are both engaging and flexible from the start. The following example shows a UDL design for a digital media lesson that a teacher in Alice’s position might consider. The purpose of the lesson is to have students demonstrate the importance of the six simple machines in our lives. Teacher uses general knowledge about the class to predict existing levels of understanding about simple machines. Students are shown a multimedia presentation about simple machines and asked to explain how each machine makes work easier. Students read from a text or view media that shows the six simple machines. They discuss key points from the reading. Students are guided to multiple options and media forms for learning about simple machines. The specific form each student uses has been chosen based on ability and learning strengths. Not all students explore the same materials. All students are given a set of guidelines for an individual project that shows how one simple machine makes work easier. Students work in groups to develop a digital presentation that teaches others about how their machine makes work easier. Groups are carefully chosen with student needs in mind. All students have assigned roles and tasks to complete. Students do an oral presentation of their project to the class. Groups show the digital presentations to the class and engage them in an activity to solidify the key points about how the machine makes work easier. Students take a multiple-choice test on simple machines. Students are assessed on their presentations using a rubric. They are also given a written assessment or activity so they can explain how all simple machines make work easier. Students are given a grade on their project and test. Students are given oral and/or written feedback on their completion of the task. If necessary, some students may have another learning activity to readdress concepts. Grades are based on many criteria: knowledge, skills, group work, effectiveness, and so on. The teacher’s role in the UDL lesson is to make sure all students are guided to appropriate content and are able to play a role in creating a presentation that teaches the content to others. Much of the teacher’s work takes place before the project begins as she finds good Web sites, library resources, text materials, videos, and so on. During the lesson, the teacher spends time interacting with groups and individuals to help them successfully complete the task. This project may not seem all that different from a traditional digital media project. The preparation for the project makes the difference. Multimedia materials on different levels enable many students to better understand the key concepts. Allowing students to choose the media to represent their ideas and select the methods of presentation requires skillful planning and coaching. Universal Design for Learning embraces good pedagogy and challenges us to think about our students as individuals with unique needs and strengths. Our job as teachers is to challenge all of our students to learn new content and skills, using flexible methods that provide the opportunity for everyone to succeed. Alice’s task is still daunting. UDL does not make her job easy, but it does make it manageable by helping her think more flexibly about her practice as a teacher. As she progresses throughout the year, Alice will come to realize how just thinking differently about reaching all students will change the way she teaches and the way students learn.